France has taken the exceptional step of recalling its ambassador to Rome in protest against a "provocation" from the Italian government, laying bare the tension between the two historic allies. 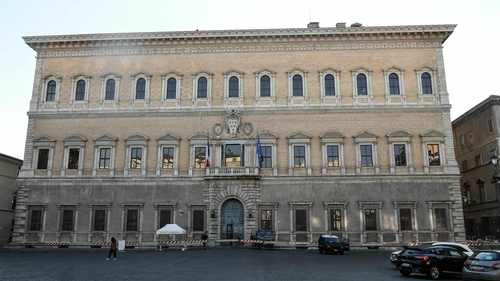 France's foreign ministry recalled its ambassador to Italy for consultations over a series of comments from Italy's two deputy prime ministers, Luigi Di Maio and Matteo Salvini. Mr Di Maio and Mr Salvini, who formed a populist coalition government together last year, have repeatedly criticised French President Emmanuel Macron. In return, Mr Macron has targeted their eurosceptic movements ahead of high-stakes European Parliament elections in May. The latest spat erupted on Tuesday after Mr Di Maio, head of the anti-establishment Five Star Movement, revealed that he had met with "yellow vest" anti-government protesters outside Paris. The remarkable war of words between two founding members of the EU began shortly after the Five Star Movement and Mr Salvini's right-wing League parties won Italian elections and formed a coalition government last June. Mr Macron blasted the new government's "cynicism and irresponsibility" after it began preventing rescue boats with migrants on board from docking at Italian ports and compared the rise of far-right nationalism to leprosy. The verbal sparring has only intensified since, with Mr Salvini calling Mr Macron a "terrible president" last month in a Facebook video. "We don't want to row with anyone," Mr Salvini said today. "We're not interested in controversies: we are serious people and we are defending Italian interests." He called for the two countries to find a solution to problems that have caused tension, including French border controls on the Italian border and demands by Rome for the extradition of far-left Italian militants who live in France. Mr Salvini and Mr De Maio angered Mr Macron in particular by publicly supporting the "yellow vest" protesters who have taken to the streets to denounce high living costs and a perceived indifference by the government to rural and small-town France. Mr Di Maio had denounced the French government for protecting the elite and the privileged, saying "a new Europe is being born of the 'yellow vests', of movements, of direct democracy."